Our tiny tiny little Bella is so darling. She has the most beautiful eyes. 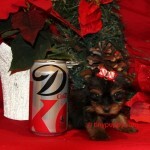 She is just 12 oz at 6 weeks of age. Bella Loves to play with her brothers and sisters and loves to snuggle my neck. She will be ready soon. 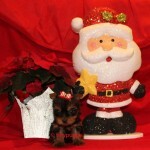 This little Christmas Belle will Charm her way into you life. Championship Bloodlines on both parents side. 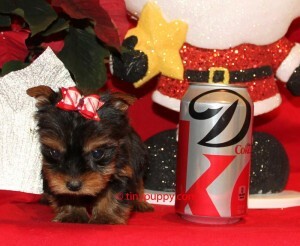 Tiny Bella will be ready soon!